WASHINGTON, Apr 24 2013 (IPS) - A decades-long push to require the labelling of foods containing genetically modified ingredients in the United States received a significant boost Wednesday, when bipartisan bills on the issue were simultaneously proposed in the House and Senate. Advocates of such measures are reacting with excitement, noting that the new bills appear to be far better positioned than previous such attempts, in terms of both public and Congressional support. If the bills pass, the United States would join 64 other countries that have already put in place similar laws or regulations. The legislative moves mark the first time that such a bill has been proposed in the U.S. Senate in more than a dozen years, a period during which the use of genetically modified crops has expanded exponentially. Further, while that earlier iteration, from 2000, was the work of just a single Democratic senator and was unable to attract any additional co-sponsors, the new bill has already received official support from nine senators and 21 representatives, including two Republicans. “Americans have the right to know what is in the food they eat so they can make the best choices for their families,” Senator Barbara Boxer, a key sponsor of the new bill and author of the 2000 proposal, said Wednesday. Indeed, public opinion on the matter appears to be overwhelmingly on the side of the new proposal, which would direct the Food and Drug Administration (FDA), the main government regulator on food-related issues, to require food producers to clearly label their products if they contain genetically engineered (GE) components. According to multiple polls in recent years (including here and here), more than 90 percent of people in the United States favour the FDA requiring the labelling of foods containing genetically modified ingredients. Yet for years, the FDA has pushed back against such requests, despite having the legal authority to mandate such a change. Rather, today’s policy continues to be informed by 1992 guidance in which FDA administrators stated that GE foods were not “materially” different from conventional foods. The rationale for this stance was simply that consumers were unable to physically sense the difference between conventional and genetically modified foods. “Unfortunately, the FDA’s antiquated labelling policy has not kept pace with 21st century food technologies that allow for a wide array of genetic and molecular changes to food that can’t be detected by human senses,” according to a press release put out by the bill’s main sponsors, Senator Boxer and Representative Peter DeFazio. Further, such a test appears inconsistent with regard to the 3,000 other substances for which the FDA does require labelling. “The fact of the matter is that, for far too long, the FDA has been playing politics over science,” Colin O’Neil, the director of government affairs at the Center for Food Safety, a Washington advocacy group, told IPS. Over the past decade and a half, consumers in the United States have been eating more and more GE foods, almost always unlabelled. According to some estimates, nearly two-thirds of processed foods sold in the U.S. today contain genetically modified grains, particularly corn or soybeans. And although the use of these materials started in the United States, they have since spread throughout the world, with genetically modified crops now covering more than 10 percent of all farmland. In 2010, more than 80 percent of all soybeans were reportedly grown from modified seed. Even as public concern has spiked on the issue in recent years, the debate over genetic modification has often become bogged down in discussions of what the science has or hasn’t found. Due in part to the need for long-term studies and the relative newness of this widespread use, findings are available to back up both advocates and opponents of genetic modification. The new U.S. legislative proposal, however, sidesteps the science entirely, to hinge solely on issues of public information and consumer choice. “The government doesn’t label dangerous foods – they take them off market,” O’Neil notes. As for the new bill, O’Neil says it marks a “very significant step forward” for the labelling movement. “Given the number of original, bipartisan co-sponsors, there is very good indication that this bill could have legs,” he notes. The new proposal was almost certainly helped along not only by widespread public backing but also by growing support from corporations and state-level governments. 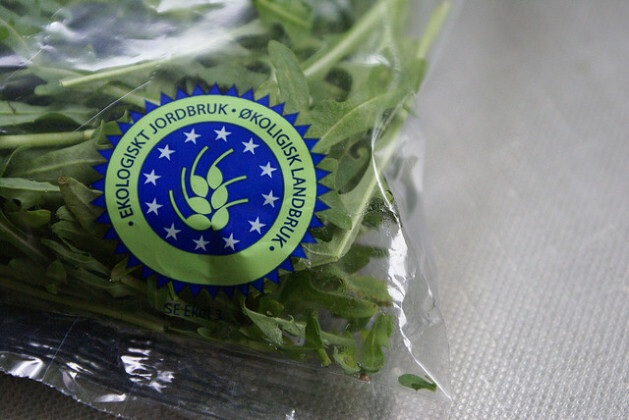 Just this year, over 50 bills in 26 states have introduced proposals on GE food labelling. In addition, more than 100 companies have already publicly backed the new federal bill. Others have moved unilaterally – for instance, the grocery chain Whole Foods pledged earlier this month to label all GE foods it carries by 2018. Farmers unions too have expressed support, highlighting in part the export obstacles that have cropped up as the United States has fallen behind the international curve on labelling. In fact, if it passes, the new bill would simply require food producers to do for U.S. consumers what they’re already doing for many export markets. We are deteriorating from healthy food consumption as we rely so much on GE food crops. It is worse than we think. In addition to genetically modified soy, corn and rice being approved by FDA, they’ve now OKed alfalfa, a common animal food, which will end up in the animal products and the animals Americans eat. Labeling should also include the food our farm animals eat.